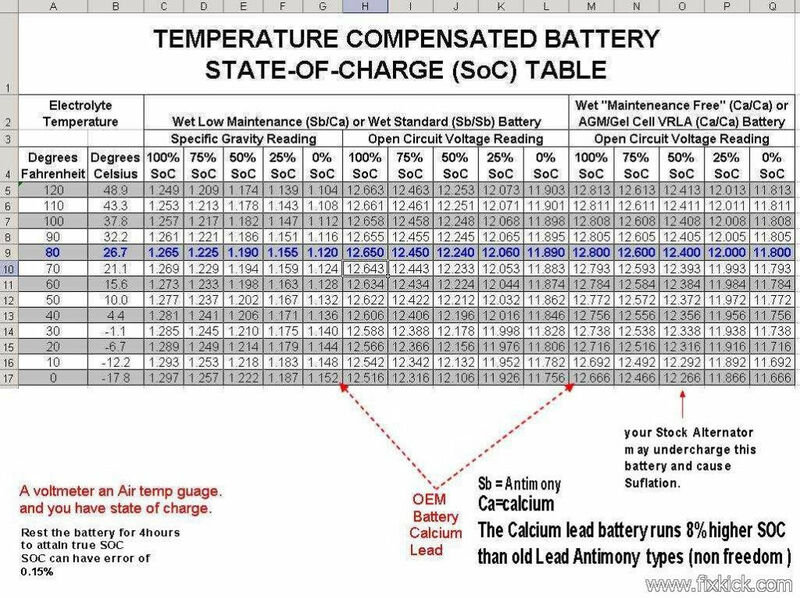 I know that temperature in different parts of the world can have an effect on a batteries state of charge and I have graphs that show this, I guess the guy at the solar shop only knows about batteries that are being charged 24/7 so he would not be use to seeing these sort of numbers, Lol. Anyways here is a good chart that explains it all just about and here is my Fluke DMM as the battery hit the 90 Hour Mark. 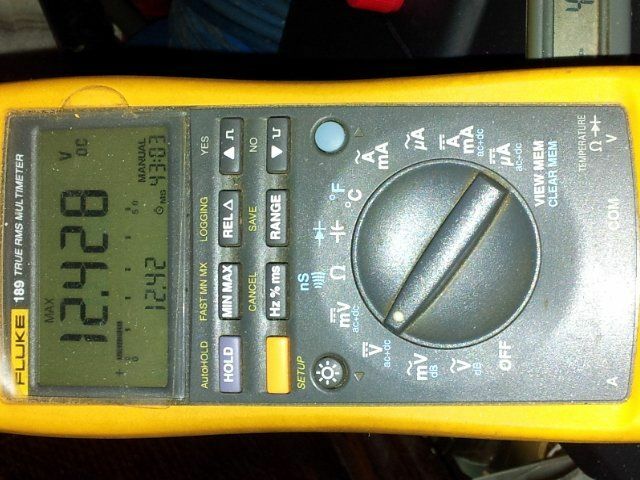 And this meter is extremely accurate and I bought it direct from Fluke UK and they even tested it in their Calibration House while I was there So I know this is right. Not going here... masses of variables and then some. And lets not start about open cct voltages and under load (what sort of load) etc. I have 2 x 115 AGM's in my van approx 3.5 years old. Will sit quite happy at 13.1V at rest and little movement with low draw dow, fans and led lights, with a phone or two on charge - a drop is seen. Put my 60l 12v freezer/fridge on and they crap out within no time and it is suppose to average about 2.2A hr. The Voltage gets down well under 11v; under load no problem. Take the load off and voltage pops back up after a few min to 12.4 - 12.6. Yet to put a current meter in series with the fridge, may do so this weekend... If I remember to do it LOL. My guess is that while charging and open cct at rest measures OK, one or both batteries have an issue with one or more cells. 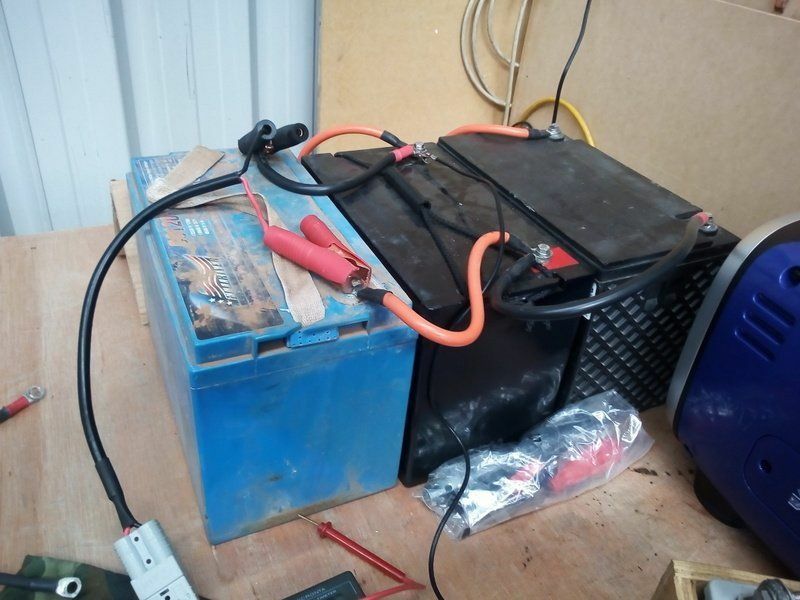 When doing critical batteries for MEDICAL stuff we often had to do load and charge and drains over a 12 and in some cases a 24 hr period - High end automated testing units and so many would pass basic testing and short term load and charging rates. But under a full testing process, maybe 30% would fail at new. 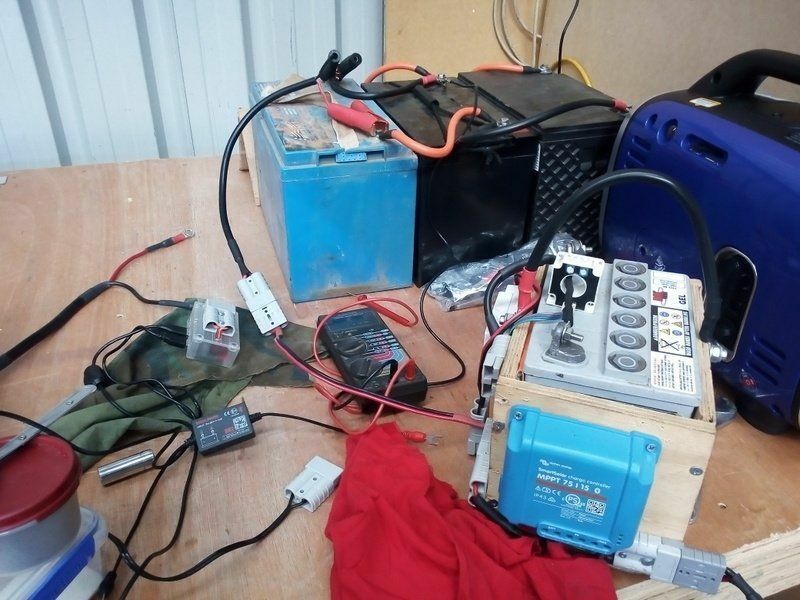 Thus we always had plenty of 12V 6V and 2V batteries for camping etc. Man can a series of 2V deliver some current :-) but need a truck to transport them. Can not afford the time or $$$ to do heavy duty testing and not much you can do to repair some of the batteries these days. So keep em charges, try hard not to totally drain and once they start dropping more voltage than expected under load = replace them. UPS for critical life support in some cases rated say 20min ( cover for time for generators to come on line :-) ) So when purchasing them UPS had to rated to 60min. And tested every 3 months... BBattries replaced once the system could not last 30min, as it leaves a small margin of error. And all Batteries replaced every 12 months regardless. One would be surprised at how many batteries fail at 6 months... 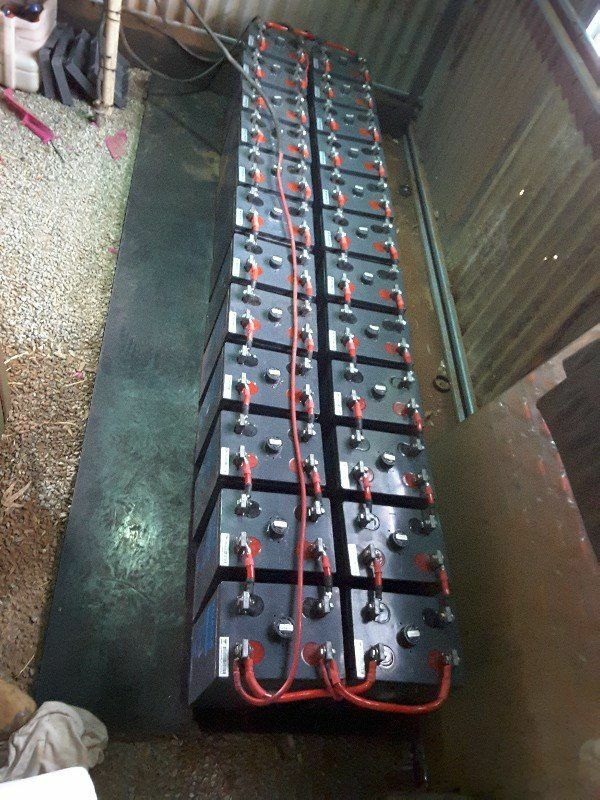 Some would ask why, but the thing is that when the systems are under test, they are under FULL MAX load AND many batteries will manage a partial load but under full load they loose their shite. Long story short. Have 2 new Marine AGM's to go in to my van, but they are the wrong footprint lol but may then play and see if one or both the others are stuffed. And I will see how the new batteries perform - if I remember to take measurements and record times..
AM, I got a good tester that load tests them by sending a signal in to the battery, Not like the old type of drop tests where you short across the battery or the push button load meters and it also gives you a print out if you want it, Best thing I bought in a long while and has helped me save the batteries, marvellous thing it is. too much info, have a 100w solar panel on the roof of the Prado and the fridge keeps the beer cold 365 days a year. Yeah sometimes a simple setup is often the best. im using a simple 3 stage rule of thumb. 12.5V, things are getting a bit down, get some charge happening soon. AM, it is likely that your old AGMs are suffering from some sulphation on the plates. I have a battery charger that has a rejuvenation setting that will sometimes give these a bit of new life. I have used this to kick a couple of truck batteries in the guts and we now use them for long run low drain 12V applications. 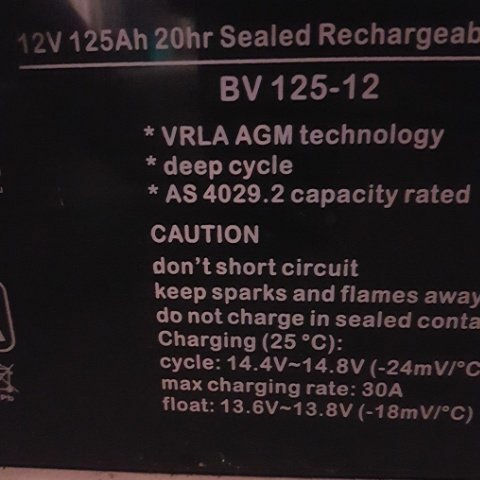 The lower the voltage goes, the shorter will be the batteries life. 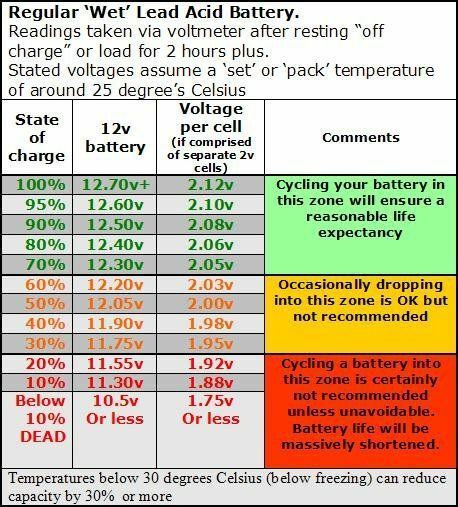 Is a battery in good health at 12.4 ? Definitely no problems with that up here --don't want -30C either. Got to pull my finger out and swap the ones I have over. But the newer ones have a bigger footprint and that means modifications. Need to go gold hunting this Easter and think on it. Stay safe every one and swing low and slow. What batteries did you buy AM, ?? About 16 months and limited use in a coffee cart. But they are at home and the shity ones are in the van lol. I just started charging the one I was testing, If I had a couple of them linked I would of used the bigger 26A Noco Charger but because it is just One I am using the 15A Noco. Are you using a smallish solar panel to charge that lot ?? Cool, that's 12.5Amps per hour on a good day, divided by 3, So that's a nice amount to keep them topped up. The down side is If I add a 4th one they will only supply 20A/h and my battery bank is 345, which leaves me about 14.5 amps short. You're confused about voltage RR, I've been doing this the last day and a half. 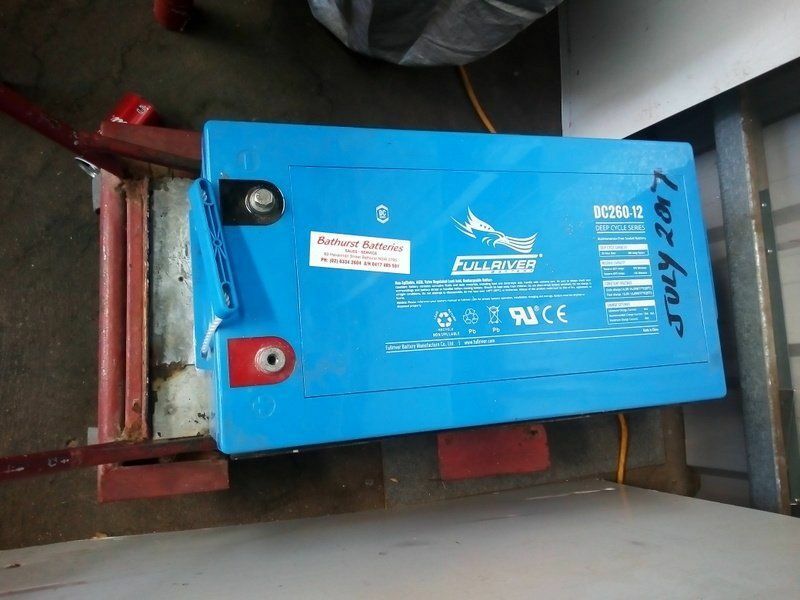 Just took out the 12 old 2 volt 1000 ah batteries and replaced them with 24 x 2 volt 550 ah batteries. 24 volt system, 2 banks of 12 x 2 volt 550 ah batteries for the house power. Now I just have to let the solar charge them fully tomorrow before I turn the system back on.